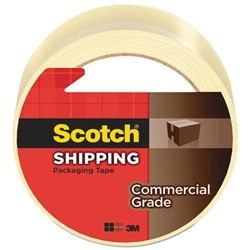 3M Scotch 3750 is a strong film tape that sticks instantly, sealing out dust, dirt and moisture. Ideal for box sealing. Rolls sold individually. 3" core.